Alaska Airlines has added a few new features to it’s shopping portal recently: In-store cashback and a browser add-on that will allow you to earn miles with the click of a button. At this point, I believe Alaska is the only airline portal that has either of these features. You should definitely still check for the best rates on a portal comparison site like Cashback Monitor. The ability to earn miles while shopping in-store is great. 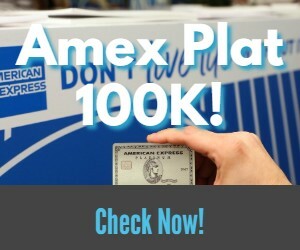 All you have to do is link your credit cards to your account here and then activate the offers before you go shopping. Once you make a purchase with a linked card, you earn miles. Unfortunately, the number of stores offering cashback is quite small. Also, the stores that participate are not exactly the most popular. However, Macy’s, American Eagle and Express are on the list, so this can definitely be a valuable feature. I should point out that the miles per dollar are pretty low, generally around 2 miles per dollar. It might make more sense for you to purchase a discount gift card prior to shopping. This seems to be the same as the e-bates platform which I regularly use for in-store shopping, especially spur of the moment trips because I can link cards using my phone. This is another feature that’s similar to ebates. The shopping button can be added to your browser and activated with one click. You can add it and find more information here. Basically, while your shopping online at an eligible retailer, you will get a notification asking if you’d like to earn miles. If you click activate, you will automatically earn miles for your qualifying purchase. Nothing ground breaking here, but this can be a useful feature for people who don’t have a lot of time or sometimes forget to go through portals. At the very least, it serves as a reminder. Alaska miles are very valuable and it certainly doesn’t hurt to earn a few extra. Next articleGroundlink Car Service Review: Is It A Better Alternative to Uber & How to Get Up to $60 Free! United also offers in-store shopping mileage earning.